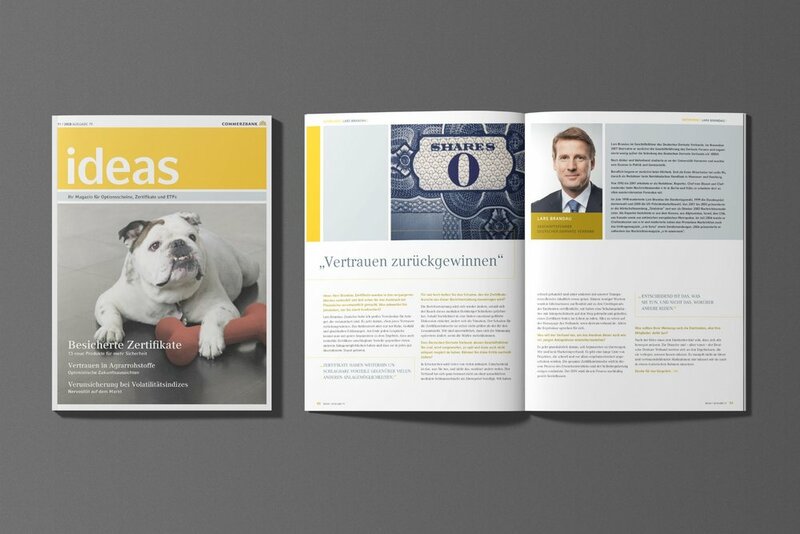 Keybrand engagement with Commerzbank was mainly in editorial design. We were approached to develop a design concept for the bank’s financial products client magazine "ideas". Keybrand accompanied the magazine’s evolution, updating and modernising its design throughout the years. During this time Keybrand also designed Geld+Werte magazine, in addition to several other corporate communication materials.